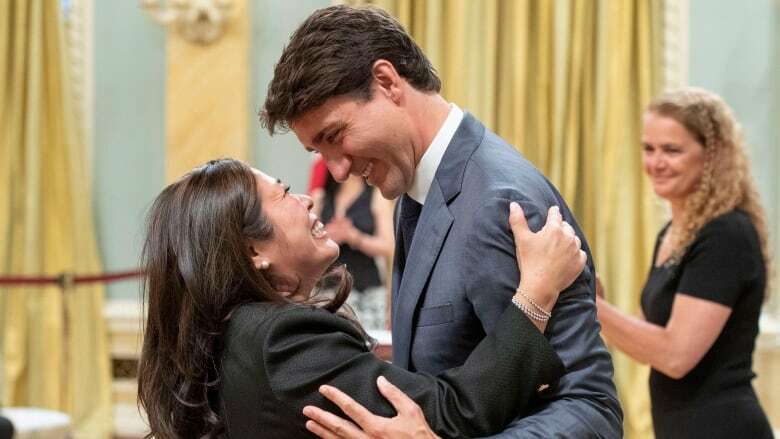 Justin Trudeau unofficially launched his 2019 re-election campaign Wednesday with a cabinet shuffle that puts management of three of the most vexing challenges his government faces into new hands. Justin Trudeau kicked off his 2019 re-election campaign Wednesday with a cabinet shuffle that puts management of three of the most vexing challenges his government faces into new hands. Dominic LeBlanc becomes the prime minister's point man with the provinces. It will be his job to deal with a more strident set of premiers than when the Liberals took power three years ago. It will be his task to blunt attacks from an emerging coalition of conservative-minded premiers, led by Saskatchewan's Scott Moe and Ontario's Doug Ford, who oppose Ottawa's plan to impose a price on carbon and want to reopen the equalization program. 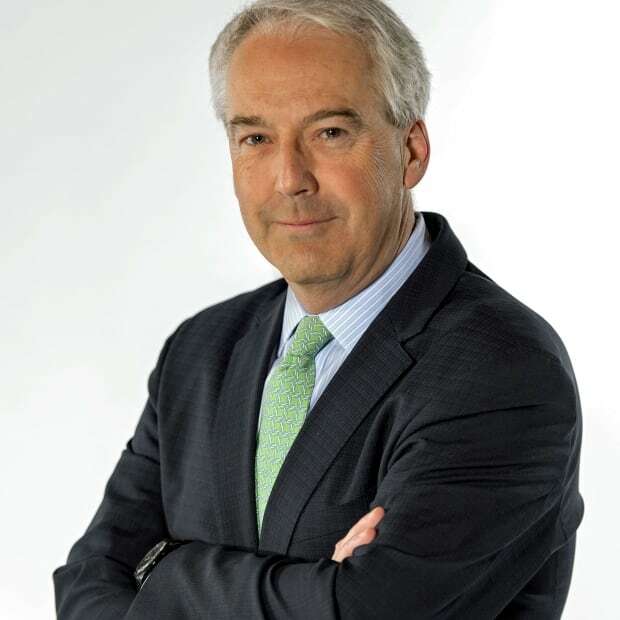 Jim Carr moves over from Natural Resources to serve as minister for the rebranded Department of International Trade Diversification. With the vast majority of trade depending on the U.S. and its not-so-predictable president, Donald Trump, finding new markets for Canadian goods is taking on increasing significance for a government that has tied middle-class prosperity to expanding trade relations in Asia, South America and Europe. "The appointment the prime minister has given me, I think, reflects how seriously this government takes the safety of all of its citizens," Blair told reporters after being sworn in. "And certainly issues with respect to border security and organized crime are related to that, those safety responsibilities." Whatever the role turns out to be in practice, Blair's primary marching orders are entirely political. He's to reassure Canadians that the border with the U.S. is secure, that the federal government will reduce gun violence in cities like Toronto and that the people entering this country to claim asylum are legitimate refugees. 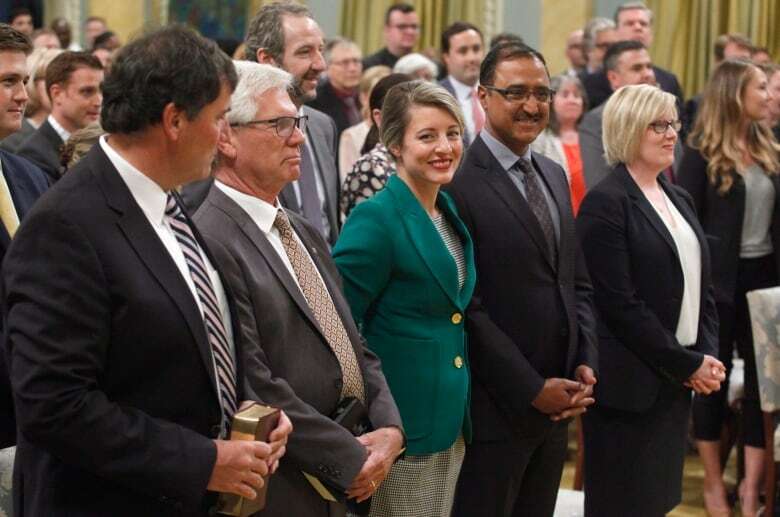 These are the Big 3 in a cabinet shuffle that included five new faces, each strategically selected to promote regional and ethnic diversity all while maintaining gender balance. LeBlanc, Carr and Blair are the three ministers whose actions will be most closely watched. The three against whom the government's record will most likely be measured when Canadians head to the polls just over a year from now. Make no mistake. This shuffle is all about positioning ahead of the next election. The Liberals' path to another majority depends on winning more seats in Ontario and Quebec, and holding as many seats as possible in urban ridings across the country. With that in mind, it's never too early to start laying the groundwork. Especially since the Liberals are showing signs of losing control over issues such as immigration that threaten to undermine public support for the government. It's never too early to try to neutralize criticism of how the government is handling the big files that will feature prominently in the Liberals' re-election campaign. Trudeau acknowledged as much when he explained why he chose Blair. He said a big part of Blair's job will be to combat the Conservatives' narrative, led by federal leader Andrew Scheer and Ford, that the tens of thousands of migrants entering Canada via dead-end roads in Quebec, or farmers' fields in Manitoba, are proof the government has no plan and no money to deal with a border crisis. Trudeau reverted to the old line that the Conservatives are playing on Canadians' fears. "When Conservatives across the country are playing the fear card, we need strong, re-assuring voices to counter that," he said, "and to demonstrate that the safety and security of Canadians in their communities is something that we will never flinch on, that we will continue to deliver and we will deliver in a way that pulls Canadians together instead of dividing them, like the Conservatives tend to be doing." The Conservatives enjoyed great success in the past by portraying the Liberals as soft on crime. Their message is largely the same now about the border. Deputy leader Lisa Raitt said the "thousands of illegal crossings" can be traced back to the prime minister's tweet in January 2017 that welcomed people to Canada after Trump put a temporary ban on new refugees. "It's time now to have a plan to deal with the problems and the aftermath. Not a Band-Aid solution," she said Wednesday. "And what has been the response? Well, the response has been to appoint another cabinet minister." Blair will face serious challenges. His department doesn't yet exist. It will have to be hived away from Public Safety and Immigration. He doesn't speak French, a shortcoming highlighted immediately by Quebec journalists given the largest influx of asylum seekers is in that province. And there's a history of bad blood between him and Doug Ford dating back to 2013, when Blair was Toronto police chief and his force was investigating Ford's late brother, Rob, who was then the city's mayor. How well the two can work together is an open question. The prime minister wants Canadians to be reassured by this cabinet shuffle. The question now is will it be enough to reassure Liberals of a return to power next year.